The group’s second album (BCC 2) knocked the Foo Fighters new album off the top of the official BBC Top 40 Rock Albums chart, it currently rest at #6 after 5 weeks. Derek Sherinian has his solo album Oceana due out on September 5th via the Mascot label group. 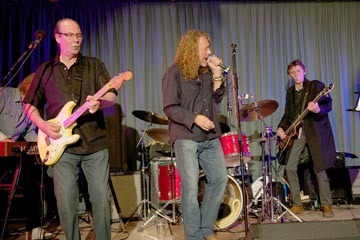 Former Led Zeppelin front man Robert Plant joined local musicians Ray and Paul Martinez and Dave Charles to raise money for research into Pick’s Disease, which claimed the life of Rockfield Studio’s producer Pat Moran earlier this year. Before performing, Plant paid a heartfelt tribute to the producer, who worked on his first three solo albums, saying that with Led Zeppelin he had been living inside a bubble and that after going solo and recording at Rockfield, Pat had taught him so much. 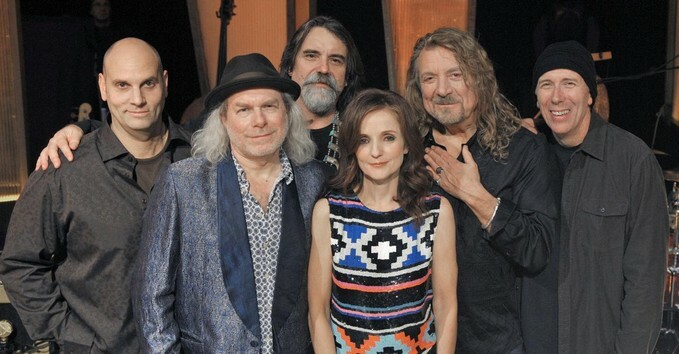 Robert Plant and The Band Of Joy have been confirmed for the prestigious 12th Americana Music Festival and Conference which runs from October 13th -15 at the historic Ryman Auditorium in Nashville. Others artist confirmed to appear include Gregg Allman, Justin Townes Earle, the Jayhawks, North Mississippi Allstars, Foster and Lloyd, and The Civil Wars. Jim Lauderdale will continue his tenure as master of ceremonies, joined for another year by Buddy Miller and his All-Star house band. 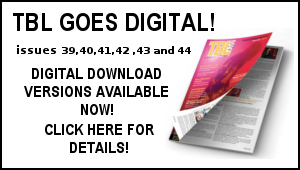 Over 2,000 artists, music lovers and industry executives attend the annual show, which is broadcast internationally through multiple outlets. In the annual award catagories, Robert Plant and the Band of Joy will compete for Duo/Group of the Year, while their effort Band of Joy album receives an Album of the Year nod. Plant is also up for Artist of the Year. 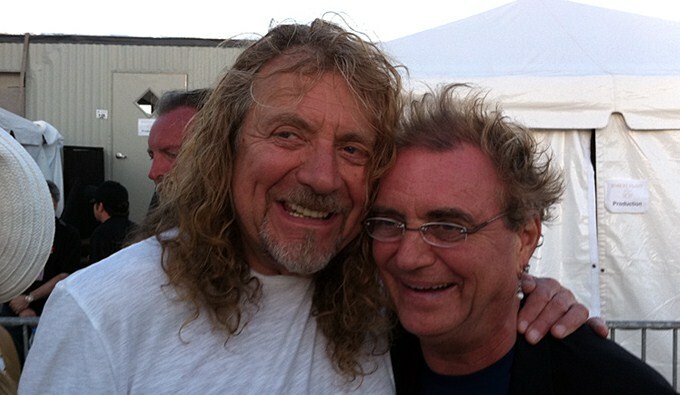 At a recent festival date in New Orleans Robert meet up with Terry Reid, the singer who famously turned down the job as singer for Led Zeppelin and recomended Robert for the position. He’s a picture of that meeting taken by Bryon House. John Paul Jones made an appearance alongside Seasick Steve at this year’s Latitude Festival in Southwold, Suffolk. 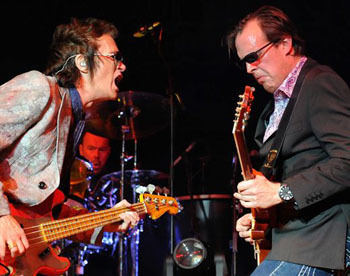 Here’s a great clip from the recent Camden gig. Renowned tribute band Simply Led are staging a reunion gig next month to celebrate the tenth anniversary of their Ulster Hall gig. They will be perfuming at the Half Moon, Herne Hill London SE24 on Saturday August 6th. Doors open 8pm tickets £10. The Simply Led line up will be Keith Lambert-Vocals, Harmonica, Philip Eldridge-Guitar, Eddie Edwards-Bass, Keyboards, Mandolin. Steve Dixon-Drums (ex Gary Moore). 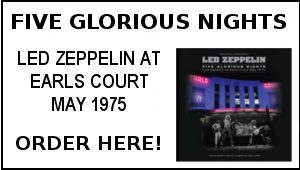 Were you in attendance at the famous Led Zeppelin concert at Ulster Hall in Belfast on March 5th 1971? If so BBC Northern Ireland would like to hear from you. Their Arts and Culture department are compiling a film of ”Incredible Gigs” that have been staged in Nrthern Ireland over the years. 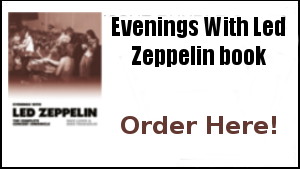 Naturally the Zep show is high on the list. If you were there or have photos from the gig etc they would like to hear from you. Email davelewis.tbl1@ntlworld.com in the first instance. 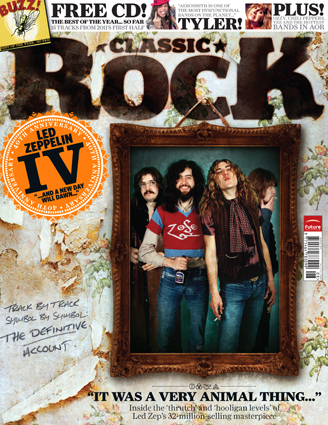 *The new issue of Classic Rock is out today – it includes an extensive and excellent feature on the making of Led Zeppelin 4 by Barney Hoskyns with contributions from Dave Lewis. 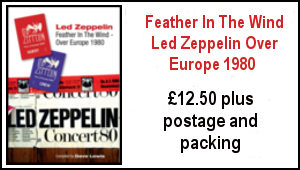 The magazine comes packaged in a very attractive collectable outer wallet cover that replicates the design of the Zep 4 sleeve. Well worth seeking out. Am I alone in thinking Robert has a gleam in his eye in that pic which says thank you for saying no ! Thanks for all the updates Dave, as usual a great read. 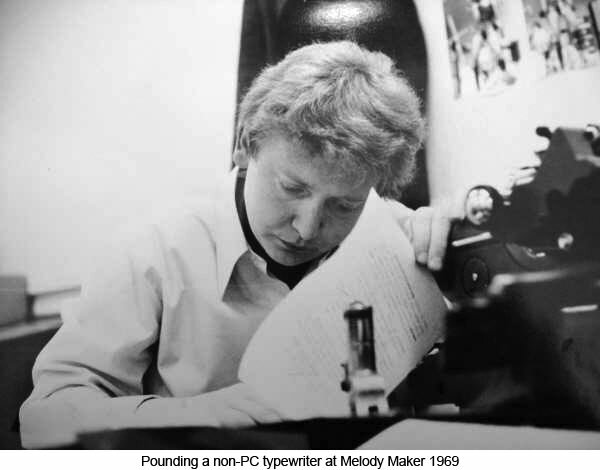 I must get my hands on a copy of Classic Rock. Tuned in to the BIO channel last night to stumble onto 2- Led Zeppelin bios the one done in 2004 was the first one aired, had never seen it was just okay, misleading statements paired with incorrect photos that sort of thing. The one that followed right after was the doumentary “Led Zeppelin: Dazed & Confused”(2011)this was fantastic. OBTW great photo of Robert & Terry, I agree with Mark it does make one think. 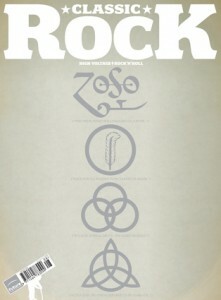 I must say though Zeppelin was destiny for these four men it was written in the stars. Have a magickal day. Can’t have been difficult for Jason to have kept up with that Save Me thing-for the most part its a re-hash of Wanton Song at 3/4 speed without the originality or phasing on the riff.If they keep going at this rate they can team up with Them Twisted Vultures as support and not spil two concert halls in the same evening. ^^ An intriguing thought Mark. So, The New Yardbirds could’ve ended up being: Jimmy Page, John Baldwin, BJ Wilson and Terry Reid. Great pictures of Robert – Terry Reid – the man who had the winning lottery ticket put into his hand and threw it away. It does beggar the questions though – What would have Zeppelin sounded like with him fronting? Would they have been as successful? I wonder what he’s thought down the years? I mean no disrespect to the man, I’ve never met him so how could I? Just a few thoughts that’s all.